Italy sits firmly on many travellers’ bucket lists – as it rightfully should. 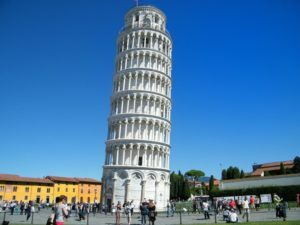 We’ve put together some of our most useful tips for tackling Italy as well as a few of our favourite must-see landmarks and must-try experiences! Keep reading to learn more about what to expect as you traverse the beautiful Italy. Located in Southern Europe, in the heart of the Mediterranean Sea, you’ll find the beautiful boot-shaped peninsula that is Italy. Together with Greece, Italy is largely acknowledged to be the birthplace of Western culture, so unsurprisingly; you’ll find the entire country bursting with high art, magnificent monuments, and World Heritage Sites. Famous worldwide for its delicious cuisine, diverse regional cultures and beautiful coastline and mountain ranges. There is so much of Italy to take in that it’s difficult to know where to begin. With a landscape generously scattered with iconic landmarks and attractions, Italy’s rich history and culture are there to be discovered. Italy is a nation where world-famous historic sites sit around every corner. So all it takes is to spend a day wandering around the historic centre of Rome before you inevitably stumble upon the Colosseum, the Pantheon, the Piazza Navona, and plenty of other sights you didn’t even know existed – without even trying! Climate: Predominantly Mediterranean; Alpine in far north, dry in south. Electricity: Power sockets are of type F and L. The standard voltage is 230 V and the standard frequency is 50 Hz. From world-class beaches to gloriously scenic vineyards, Italy offers a plethora of activities and attractions that will keep anyone captivated. Ideal for art lovers, every major city in Italy has a number of local museums, with some of them even having international relevance. The Uffize Museum in Florence and the Brera Art Gallery in Milan are considered amongst the greatest and most prestigious in the world, while with the many specialty museums, such as the Ferrari Museum in Maranello and the Egyptian Museum in Turin, there’s sure to be something to pique your interest. Of course, it would be remiss to talk about Italy and not mention cuisine; after all, Italy and food go hand in hand. Like the language and culture, food in Italy differs region by region. Generally speaking, pasta and olive oil are the staples of Southern Italian food, the Central Italian cuisines rely on pasta, meat and olive oil/butter, while Northern food focuses on rice and butter. Local ingredients are also very important. In warm Naples, citrus and other fresh fruit play a prominent role in both food and liquor, while in Venice fish is an important traditional ingredient. The standard meals in Italy consist of a small breakfast, a one-dish lunch, and a two-dish dinner. 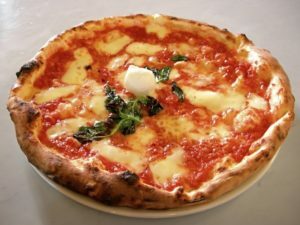 Almost every city and region has its own specialty meals, which may include risotto, arancina, polenta, gelato, pizza, tiramisu, or cheese and sausages. Coffee is welcomed at nearly every hour of the day – especially at the end of meals. Interestingly, cappuccino is a drink you’d have with breakfast, but not after lunch or dinner. This is considered an odd thing to do, with an ordinary coffee being deemed more appropriate. Italy is a country where life’s simple pleasures are truly savoured. With its inherent respect for preserving its history, iconic treasures, and rich food heritage, Italy’s charm and culture is guaranteed to impress!